Tonight's match did on occasion cause a little bit of concern, but over the two legs, a great performance from Celtic. Roll on the draw on Thursday. Funny thing is a stadium ban for the hoops at this moment would be their best result, the reason I think that is the next home Champions League games may well be in and around the rememberance weekend where their notorious anti British element will no doubt embarrass themselves and the country and lead to a much longer ban or form of admonishment, either way they need to stick to football and leave politics to the grown ups. Anyone who brings politics into sport is quite sad really, just look at the Ireland rugby team united under an idea and not a flag, the lions the same to a lesser degree. That said it is hard to erase years of difference and segregation, the future belongs to the youngsters who hopefully without the baggage of their fathers will gradually take ownership of the teams and not their perceived ideals. Re: RE: Re: Any Celtic fans in? In the Hoops Bar in Tenerife having pre match refreshments Will not be posting any averages tonight. ssjsa wrote: In the Hoops Bar in Tenerife having pre match refreshments Will not be posting any averages tonight. First time any Scottish club has won a double treble. A shocking indictment of the state of Scottish football, imo. Ginge wrote: A shocking indictment of the state of Scottish football, imo. Never mind Steven Gerard will make a difference to your beloved Rangers. Get your act together and give those guests the disco they have paid for. You got me confused for a Rangers fan, mate. Odd. 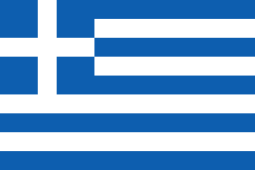 TBF they have dominated this match but their shooting has been abysmal and the Greeks took both their chances. Celtic’s side has been depleted again no good signings this year they are falling back big time. Celtic fans are quite similar to Man Yoo fans. In that they're both know-nothing cunts. Moongoose McQueeen wrote: Celtic fans are quite similar to Man Yoo fans. In that they're both know-nothing fraggles. Celtic turning in another great defensive display. Conceded in 6 of the last 7 matches. BlueSpark wrote: Celtic turning in another great defensive display. Didn't touch them tonight. Went with Rangers instead.